Follow our guide to Switzerland's best ski resorts for the most glamorous winter vacation you've ever had. But don't worry, you don't need to be filthy rich to enjoy these spots. Switzerland got the lion’s share of epic mountain ranges when Europe’s borders were drawn up back in the day. 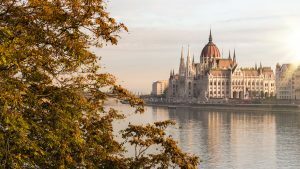 And the country has since taken full advantage of its natural wonders; the Swiss Alps spattered with luxury resorts, long pistes with year-long powdery snow, and quaint little villages full of locals selling their wares. The ultra-rich have taken over large parts of the mountains, cornering off some of the best bits for themselves. But you don’t have to be a celeb to enjoy the Swiss winter sports season. There are a handful of resorts that give off feelings of extravagance without the hefty price tag, you just need to look a little harder. Allow City Matters to take some of the stress out of planning your next vacation. 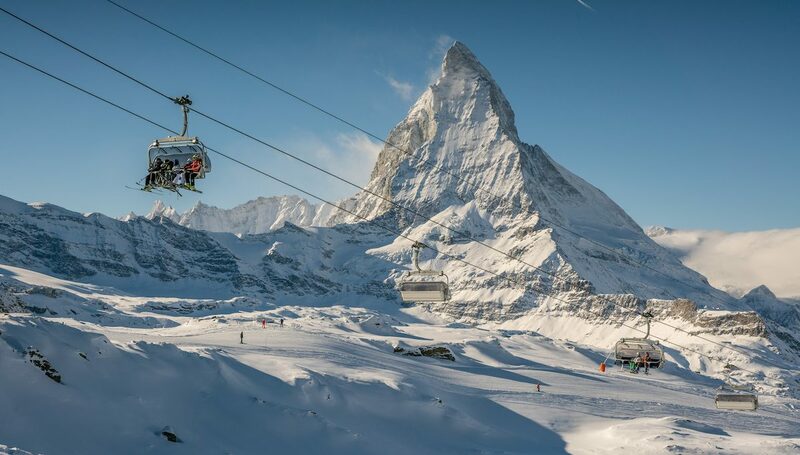 Switzerland’s most famous ski resort, located right on the border by Italy, boasts one of the country’s most impressive backdrops – the Matterhorn. Skiing around some of the 38 summits with the striking Matterhorn peak rising above them all is reason enough to visit Zermatt. You’ll feel like you’re exploring a hyper luxurious version of Whoville from How the Grinch Stole Christmas. And, with 200km of pistes, visitors never get bored. There are runs for skiers of all experience levels open year-round, reducing the pressure to travel during the often pricy peak season. It’s also well known as the party village. After a long day of going up and down the mountain, revellers will stomp into one of the many bars and restaurants in town, joining creamy schnapps-induced sing-alongs. And down the bottom of town, among the wonky wooden chalets, you’ll find popular bars like Hennu and Cervo hosting live bands most nights, adding to the lively Zermatt atmosphere that is unrivalled by most resorts in Europe. 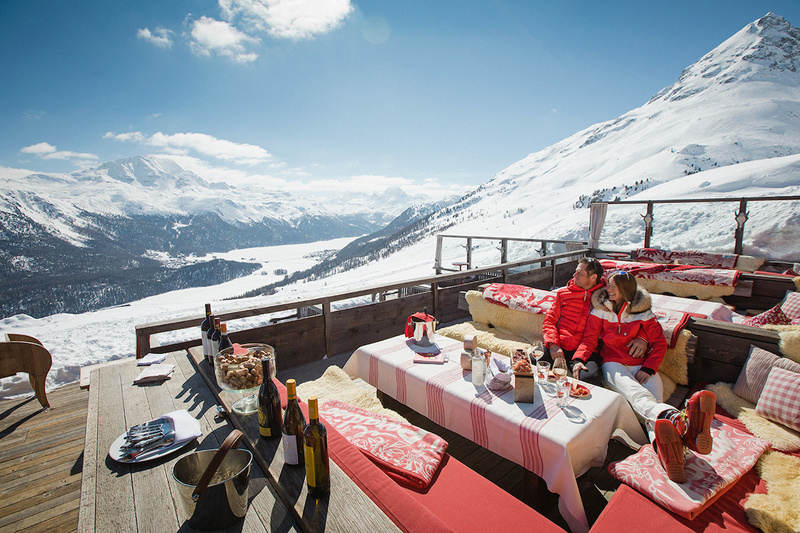 When it comes to value for money, few places beat the four resorts located within the Val d’Anniviers valley – Zinal, Chandolin, St Luc and Grimentz. Each have their own traditional villages, void of the usual Gucci and Chanel-lined high streets, and are full of locals going about their lives. Prices in the valley are about 25% lower than the more fashionable Swiss resorts. 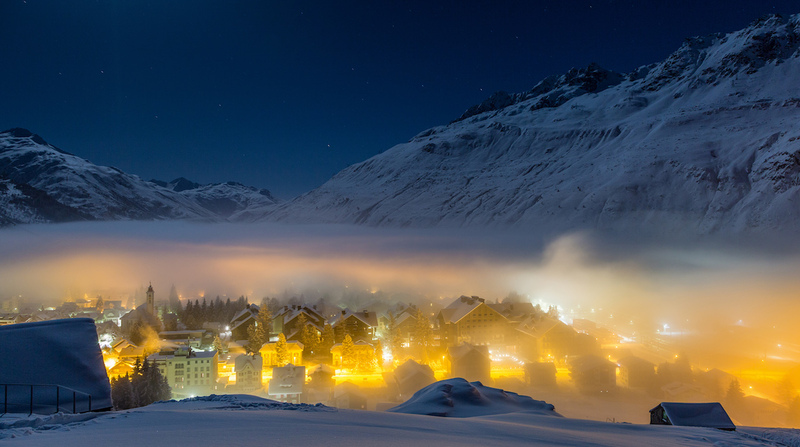 And even though there are more affordable destinations in Switzerland, most people on a week-long winter-sports trip will find that Val d’Anniviers delivers more. 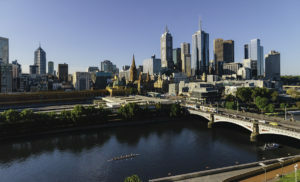 It’s both affordable and full of things to do and see. Most importantly, the two ski areas – Grimentz-Zinal on one side of the valley and St Luc-Chandolin on the other – deliver the quantity and variety of pistes that keep tourists occupied for the full duration of their holiday. 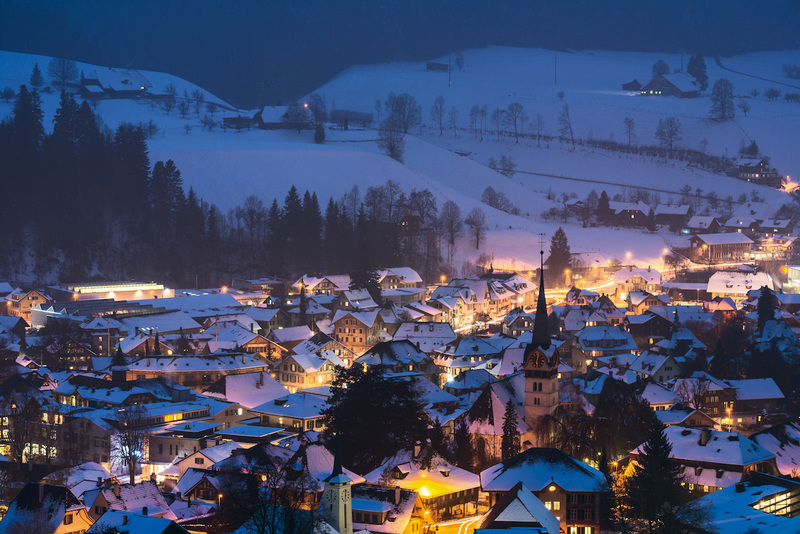 This part of Switzerland is full of charm and has all of the makings of a superb skiing location, boasting a tiny car-free village with winding lanes lined by small chalets and hotels. 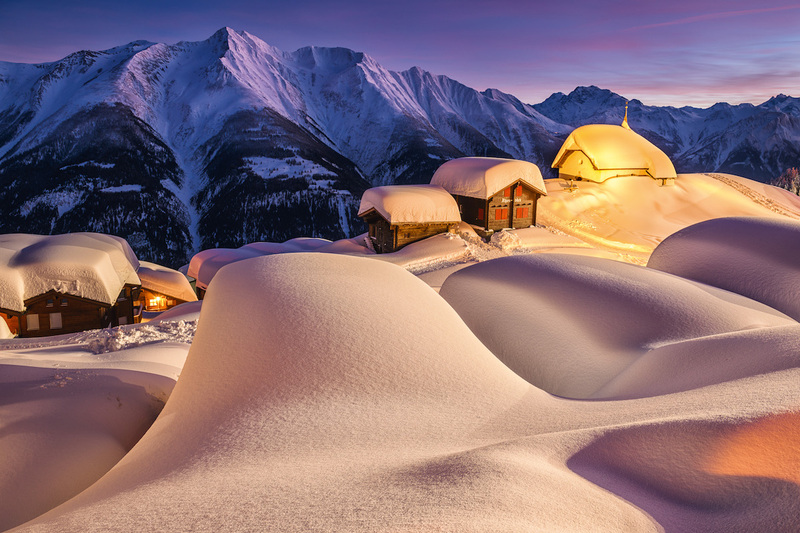 Its altitude is high enough to get a good amount of snow on the roofs and pistes year-round. Of course, it boasts some spectacular views across the Alps. They are often touted as the best in Switzerland because of Mürren’s location on a high shelf overlooking the lush valley floor. This makes it a bit tougher to access but you can get there, either by a slow cable car or a very cool mountain railway. These transport links also allow visitors to access the valley town of Lauterbrunnen and Wengen to explore the slopes of Grindelwald. This is a big draw card because people love the small-town atmosphere of Mürren and the views of the surrounding area yet want more pistes, as it only homes 54km of runs. St Moritz was the very first all-round winter sports resort in the world and is steeped with history. Over 150 years since its creation, it is still the place to be for all kinds of on and off-snow activities. It’s also the place to be seen. In high season, everyone is wearing high-end labels and mink fur coats, almost as if it were mandatory. Not everyone may be able to fit in with this style, but it surely does make for some extraordinary people watching. And a little celebrity spying too. After all, this is where the international elite love to play. In its heyday, the slopes saw the likes of Charlie Chaplin, Liz Taylor, The Shah of Iran, and even Vladamir Lenin. But once you look past this side of St Moritz, you’ll quickly see why it has become so highly sought after. Apart from the world-class ski slopes that go on for 350km, there are also a host of other winter sports for visitors to try their hand at. The famous frozen lake, which the three main towns surround, is the setting for skating, curling, golf, polo, horse racing, show jumping, and even ice cricket.The St Moritz’s bobsleigh track is the last remaining natural-ice track in the world, while the Cresta is the original home of skeleton – the most terrifying winter sport to have been created. Clearly, St Moritz has it all.